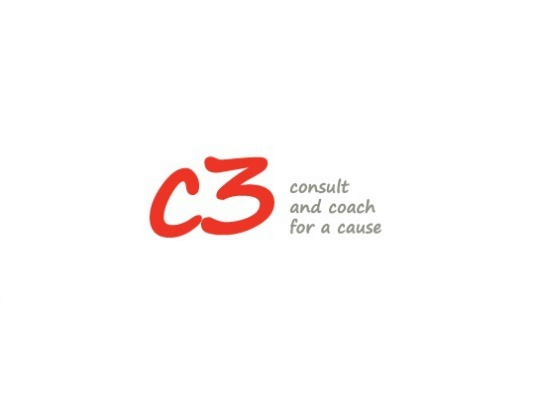 C3 – Consult and Coach for a Cause is a UAE-based social enterprise set up to help unlock the potential of Middle Eastern social enterprises and maximize their impact on the community. C3 mobilizes experienced business professionals to share their knowledge on a voluntary basis. We match professionals with social enterprises taking into consideration skills, interests and availability. C3 helps social enterprises clarify their needs into short-term, discrete projects giving professionals a clear time commitment. C3 guides social enterprises through a step-by step process to ensure success and long-term social impact. Our mission is to mobilize thousands of business professionals to help hundreds of Middle Eastern social enterprises become financially sustainable and demonstrate positive impact on society by 2020. C3’s statement of social impact is best explained through its mission: to mobilize thousands of business professionals to help hundreds of Middle Eastern social enterprises become financially sustainable (including C3 itself) and demonstrate positive impact on society by 2020. Using business tools, experts who can mentor and support the social entrepreneurs and a customised journey to growth and impact through our social impact accelerator, we have wanted to / have improved the chances of these social enterprises succeeding and as a by-product we have also raised the profile of the social enterprise agenda in the UAE and improved understanding / knowledge of the sector in the Middle East. our own community which is served by the C3 Social Impact Accelerator and the C3 App that provides customised social impact content and access to experts for free. Entrepreneurs only pay for the accelerator via a referral fee if they successfully sign client contracts or raise funds as a result of a direct introduction by C3. All of our experts undergo basic volunteer training and in our core team we have trained and certified SROI practitioners with all team members regularly updating their social impact knowledge so they are able to help the social enterprises in the community in practical and meaningful ways. The idea behind the different services is to help all organisations – social enterprises or not – improve the social purpose of their business, so that the SMEs of today, might be the social entrepreneurs of tomorrow and today’s social entrepreneurs will go on to inspire others. Since 2012, our experience working with hundreds of entrepreneurs means that we understand entrepreneurs’ expectations and the potential pitfalls along their journey. Some entrepreneurs come to us with little more than a business idea and need help at ideation stage, others have piloted their ideas and need help refining their financial model and business plans, whilst some have already got an established social enterprise and are interested in raising funds. Some of our entrepreneurs successfully raise funds or partner with corporates to scale their product more quickly. Others change direction, but this is not without benefit as they will still have learnt how to use business principles to solve social issues and apply problem solving techniques to business challenges, a mindset they will bring to future jobs and into their communities. At the end of the accelerator, participants felt more confident in using impact methodologies, pitching to investors and tackling governance in their businesses. The community element and time spent with the other entrepreneurs was seen as positive. The participants felt that their impact businesses were valued. Overall, the participants felt they received good advice and were able to leverage the experts’ experience. They rated highly the introduction to well informed and motivated experts. Since C3’s inception, the number of accelerator programs and employee engagement programs in the UAE has increased dramatically, perhaps in part as a result of the success of C3’s program and the opportunity other actors such as the public sector see in developing such programs. We have used observational designs, customised software and comparison groups (services, on-going evaluation, feedback from the entrepreneurs, core team, advisory committee, experts, other organisations working in the space. On a yearly basis this information is collected, reviewed, analysed and is used to inform improvements in all aspects of the business e.g. improving the Social Impact Accelerator, improving the look and feel of the website and App etc. C3 won the UAE UN Sustainable Development Goals Pioneer Award 2017 for our work towards Goal #17 Partnerships. This recognition was both directed towards the impact we have had with social entrepreneurs but also for the inclusion of corporates and their employees to boost the expertise the entrepreneurs had access to and to boost employee engagement opportunities for corporates. We report internally (core team and advisory board) with all the information that will inform better services. We report externally via the SEM C3 page and to other interested parties. Looking forward we will keep track of all those entrepreneurs who take part in the accelerator with regular calls and offers for help so that even if they have not signed agreements or raised funds by the end of each Social Impact Accelerator, we can still provide those introductions and expert advice as and when they need this on their business journey. Last year’s accelerator supported 6 companies at growth stage and received a score of 75% satisfaction in terms of positive benefits to their business. Dubai Cares Humanitarian Accelerator supported 3 companies to launch a pilot aimed at helping 5,000 pre-school children in Jordan, with at least the same number of families indirectly positively impacted with access to the pilot services. Entrepreneurs who attend workshops / panels hosted by C3 during conferences, entrepreneurial competitions and events also indirectly benefit. We do not have specific numbers for these but on average per year C3 will give at least 4-6 free workshops and be on ~10+ panels. We work in / have partnerships in 4 countries in the Middle East. Palestyle is a social enterprise that promotes Arabic heritage through leather handbags, wear and jewelry, while empowering refugee women with paid embroidery work and developing their community with social projects. C3 has worked with Palestyle on and off since 2012. During this time C3 has helped Palestyle with clean water tank projects in West Bank refugee camps, a UK SROI certification, its financial model and its pitch to investors. Palestyle has attended both C3 workshops and made use of one-to-one sessions with C3 experts. Taka Solutions is an energy consulting company that uses energy performance contracts to reduce energy waste in existing buildings whilst getting paid a portion of the savings made. It was shortlisted for the Arabian Business Startups Award 92016) and won The Venture (Middle East) competition (2016). C3 helped reposition Taka’s entire approach to align it as a social enterprise. On our referral, C3’s corporate partners Bain and Company and Morgan Lewis helped Taka improve its communications, overall business model, strategy and pitch deck for The Venture global competition. C3 helped Dubai Cares design a pilot and develop a launch strategy for their education initiatives in Jordan focusing on leveraging technology solutions (provided by three social entrepreneurs) for early-childhood and school readiness programs led by the Jordanian Ministry of Education. The pilot is now being launched in Jordan with a view to helping up to 5,000 pre-school children receive additional educational content, their teachers to receive additional teacher training and up to 10,000 SMS sent to their parents to support their learning. The C3 Social Impact Accelerator is free at the point of use, the entrepreneur only pays for the accelerator via a referral fee if they successfully sign client contracts or raise funds as a result of a direct introduction by C3. The C3 App that provides access to our community of experts is always offered for free. Financial investment: other revenue generating funds cover the cost of running the Social Impact Accelerator and in-kind sponsorship is given by corporates and professional service firms e.g. employee engagement, space to run workshops, specialised content. Cost for the Social Impact Accelerator would be $5,000 per entrepreneur if charged at market rate. By being part of a panel with other UAE government and private entities to develop and draft a UAE social enterprise law, we have given our knowhow and legal expertise, our experience with entrepreneurs and our research on what is needed for the social enterprise space in the UAE to flourish. We have invested time as our financial contribution. We have also supported academics in the region who have been researching social enterprise by providing them with opportunities to evaluate our accelerator programme, interview our entrepreneurs and publish case studies and articles about C3 and its entrepreneurs. Again, time and access to our community has been given for free as our financial investment. C3 co-founders have served as speakers, moderators and panelists to entrepreneurship- related events across the Middle East, Europe and India and have been published multiple times on academic publications on social enterprise and social impact subjects, such as ‘Social Entrepreneurs’ (Emerald Group Publishing) and ‘Social Entrepreneurship in the Middle East’ (PALGRAVE MCMILLAN). Again, time and expertise given for free as our financial investment. Benefits realised for the community in all three examples: access to examples and our own knowledge to further the social enterprise sector in the Middle East. Internally our core team has been able to leverage the C3 brand to form their own businesses and to benefit through a referral fee system to get paid for projects brought to C3 or be brought in as paid consultants when C3 wins revenue generating projects. Our flexible working practices and principles of keeping valued volunteers involved, means those who have left the region have been able to continue being part of the C3 family by acting as committee members etc.